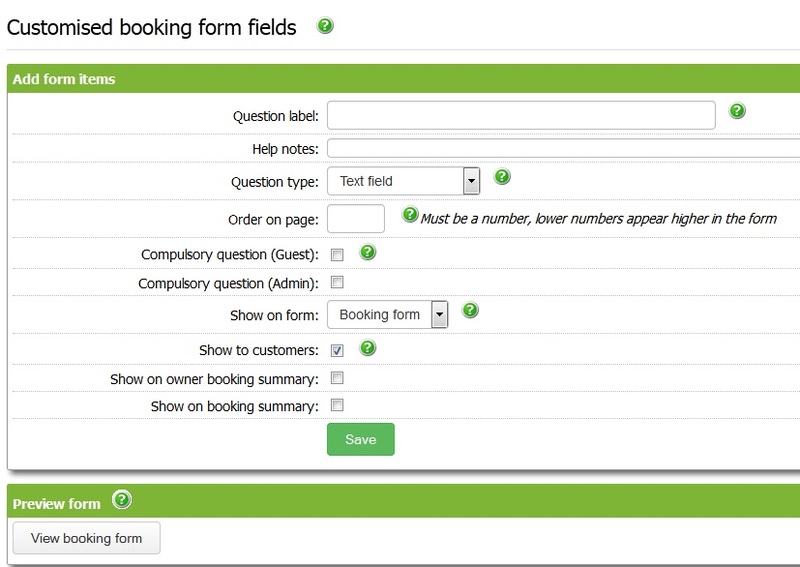 Did you know that if you use SuperControl PLUS or AGENCY you can set your own questions for guests to complete on your Enquiry and Booking forms? You can use this feature to find out extra information, e.g. if you have zip-link beds you might want to ask the guest how they would like them set up (double or singles). Go to Properties > Booking & enquiry form fields. These include Question label (the question as you would like it to appear on the form); how guests respond in Question type (e.g. drop down, tick box, text area); whether you want to make it compulsory for guests and/or admin to complete, and where you want the question to appear (Booking form, Enquiry form or both). You can preview the form to check that it appears correctly.